Today the WundaWeve by Mohawk carpet & rug collection represents the premium in styling and product innovation. Known for its distinctive styling, WundaWeve occupies an important niche in the upper end of the residential market. WundaWeve combines color and texture in truly different ways. The collection of products includes many luxurious constructions, from tip-shears and plush cut-piles to dense Velva-loops and textured sisal looks. Our newer styles feature a variety of three-dimensional "post-sisal" looks in nature inspired patterns. 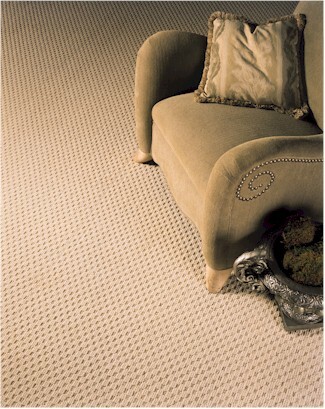 All WundaWeve carpets offer upscale styling at a recognizable value. WundaWeve Carpet Co. was started in the early 1900's manufacturing cotton throw rugs. With the development of tufting in the 1950's, WundaWeve began tufting carpet made of cotton fiber and later nylon fiber. In the 1970's WundaWeve was among the first mills to Scotchgard® (3M) and anti-static chemicals to carpet. Innovation continued in the 1980's when, in association with Dow Chemical, WundaWeve produced a carpet with an attached cushion backing. In 1995 the company was purchased by World Carpets. Mohawk's acquisition of World Carpets in 1998 included the WundaWeve plants and facilities. Today Mohawk offers products covering every price point, fiber type, & styling option and operates one of the largest & most effective trucking companies in the world.